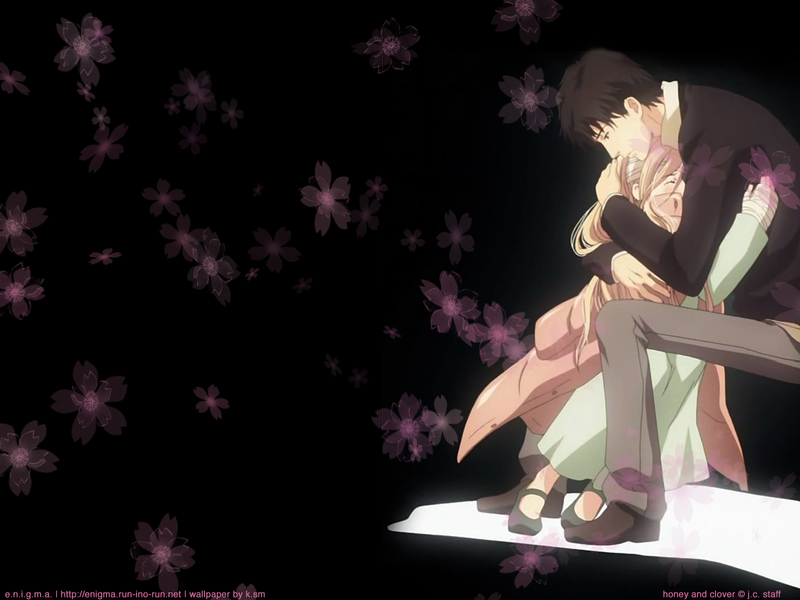 Honey and Clover Wallpaper: the truth is... i'm scared. Minitokyo »	Honey and Clover Wallpapers » Honey and Clover Wallpaper: the truth is... i'm scared. I created this after watching episode 10 of season 2. I've always loved the relationship between Hagu and Shuuji; the way they understand and trust each other implicitly. This scene was a slow pan up, so I had to grab several frames and merge them together in order to create a full shot. I took out the subtitles and evened out the colouring so it was more uniform. Scattered the cherry blossom flowers using a brush. More resolutions are available at e.n.i.g.m.a. Beautiful so cute this wall. Thanks for sharing.